Colin McCahon, The Lark's Song, 1969. Acrylic on two wooden doors, overall 162.6 x 198 cm. 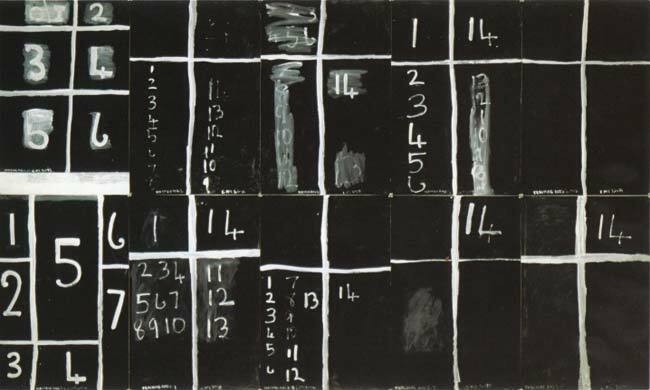 Colin McCahon, Teaching aids 2 (June), 1975. Acrylic on Steinbach paper, 10 sheets, each 109.2 x 72.8 cm, overall size 218.4 x 364 cm. 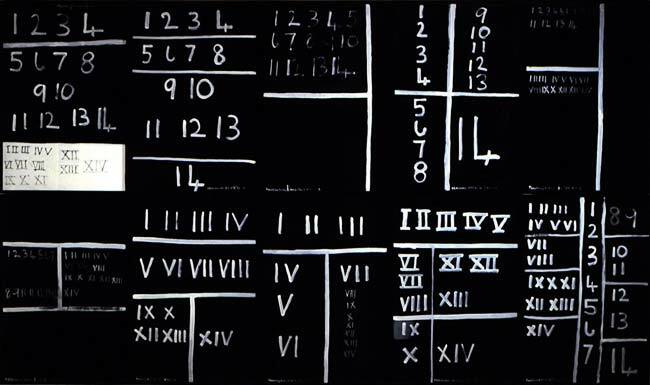 Colin McCahon, Teaching aids 2 (July), 1975. Acrylic on Steinbach paper, 10 sheets, each 109.2 x 72.8 cm, overall size 218.4 x 364 cm. 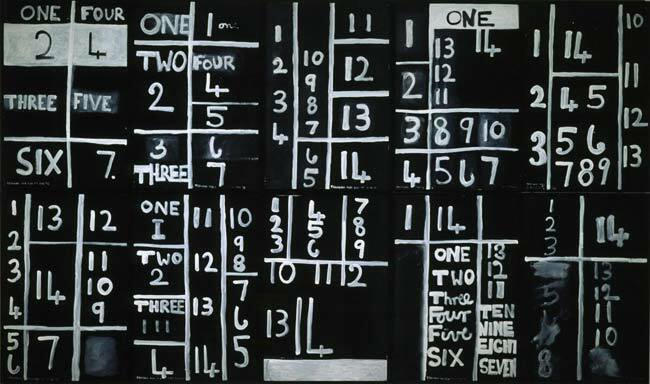 Colin McCahon, Teaching aids 3, 1975. Acrylic on Steinbach paper, 10 sheets, each 109.2 x 72.8 cm, overall size 218.4 x 364 cm. 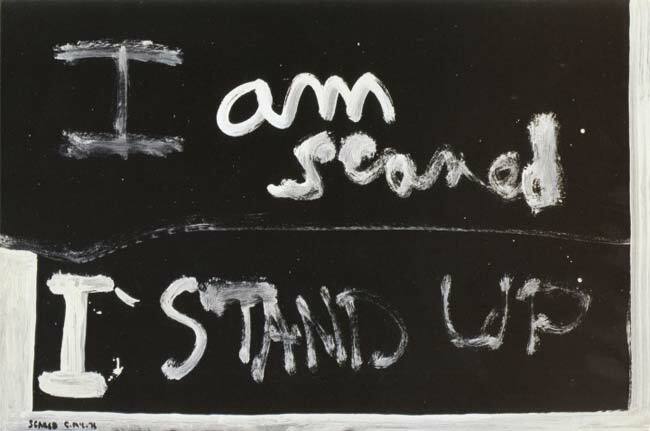 Colin McCahon, Scared, 1976. Acrylic paper, 73 x 109.5 cm. Colin McCahon, Victory Over Death, 1970. Acrylic on unstretched canvas, 207.5 x 597.7 cm. 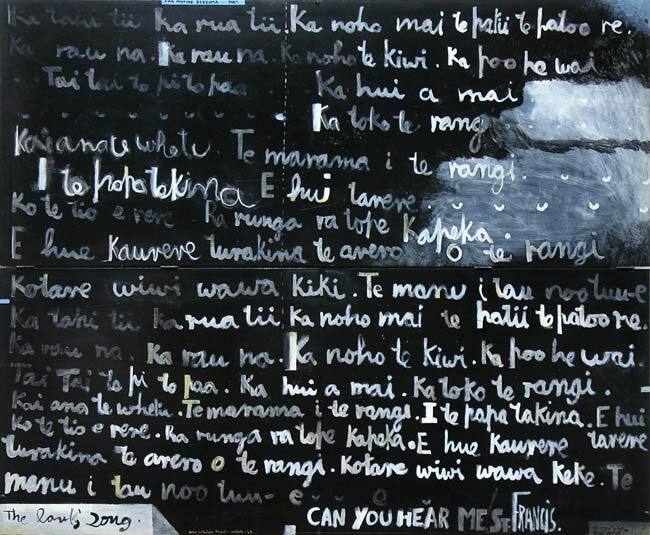 Also interesting is the similarity of some of McCahon’s text paintings to the “picture-poems” being done at the same time on the other side of the world by the poet Kenneth Patchen, but I’ll save that comparison for a future post.